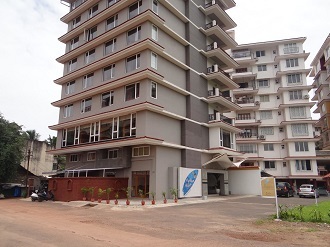 If what you're looking for is a conveniently located hotel in North Goa, look no further than Justa Panjim. The hotel lies 4 Km from the Panjim city, Casinos and provides accessibility to important industrial estates like Verna, Thivim, Corlim. At Justa Panjim, the excellent service and superior facilities make for an unforgettable stay. Each of the 26 beautifully appointed air-conditioned room features a telephone, a safe, an electric kettle, a flat-screen satellite TV and a minibar.